After going through some troubled times last season, things are starting to click into place for Pep Guardiola at Man City this year. While it was always going to take time given his need to implement his preferred style of play and mentality into the players along with bedding new signings in as he stamped his mark on the squad, it would have been a disappointment for him and all concerned that City went trophy-less last year. However, they’ve made a real statement of intent early on this season so far, as they’ve opened up an eight-point lead over their Premier League rivals at the top of the table and have secured their spot in the knockout stage of the Champions League. All the while they’ve been playing some of the best football in Europe, if not the best, and Barcelona and Brazil legend Ronaldinho believes that Guardiola will be able to replicate what he created at the Nou Camp at the Etihad in a worrying warning to the rest of Europe. “I believe so,” he said when asked if Guardiola could enjoy the same level of success at Man City, as reported by The Mirror. 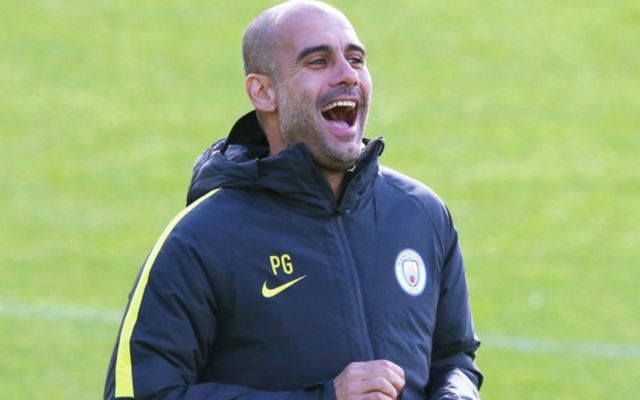 City fans will certainly have no issues if that’s the case, given Guardiola won three league titles, two Champions League trophies, a whole host of domestic cups and two FIFA Club World Cups during his stint in charge of the Catalan giants. If he can even come close to that trophy haul with City, they’ll be more than happy. However, it’s still too early for that as despite winning 11 of their 12 league games so far this season, they’re bound to endure a dip at some point and that’s when they’ll have to prove that they’re ready to be champions with their reaction to adversity.